Having a new baby is life changing. Every little feature is new and amazing and breathtaking. Their soft and wispy hair, perfectly pursed lips, and dimpled little hands can seize your attention for far longer than any extraordinary event you can imagine. 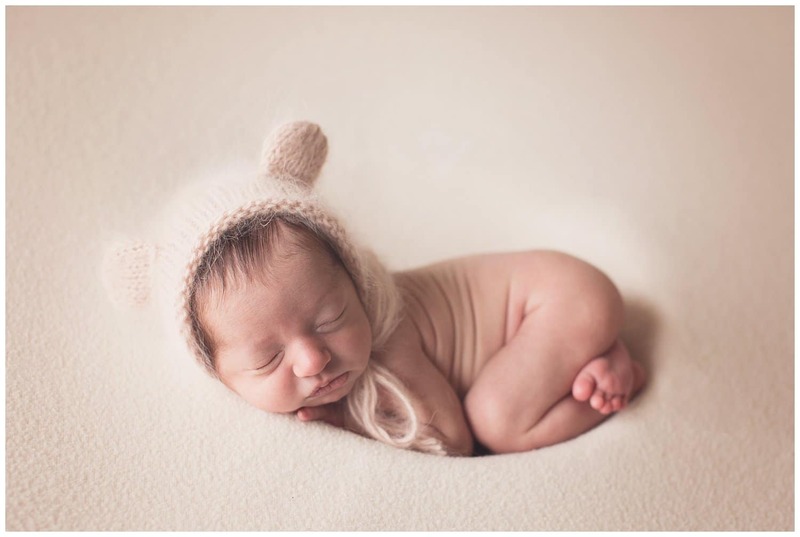 It’s why I love capturing all the tiny details when I do newborn sessions. Keeping things modern and simple is my go-to for newborns because they don’t need all the frill and embellishment to stand out. I love neutral and monochromatic newborn sessions so that the focus remains on the most beautiful subject of the photo: the sweet new baby! In this session, I photographed a precious baby girl with a head full of gorgeous dark hair. 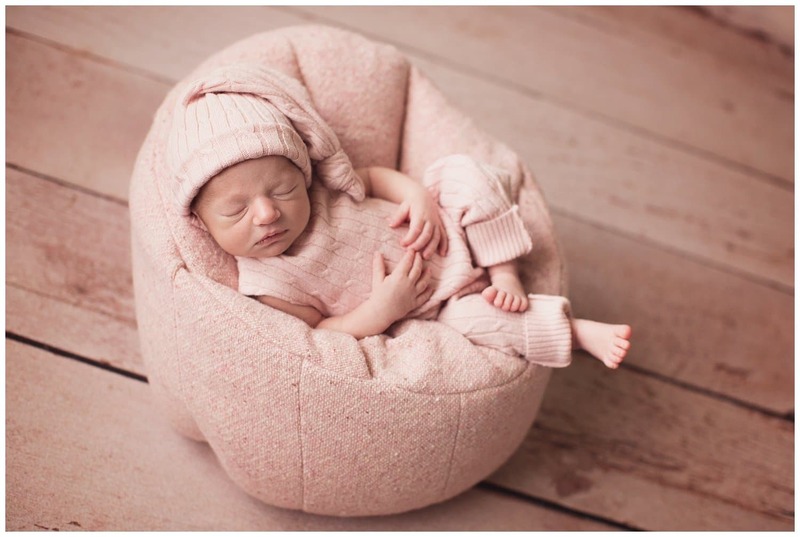 By keeping the setups simple and classic, and the textures soft and subtle, you can truly appreciate all her sweet little characteristics that will rapidly change and evolve as she grows. By taking a minimalistic approach, it really maximizes the beauty of the subject and photo. It also makes it easy to display year-round and in any room of your home. Babies are small for such a short time, and it’s so important to capture those little features while they’re fresh and new, uninhibited by the dirt and crumbs that will encase their hands and mouth in just a few short months! Those details, of course, are beautiful in their own way and in due time. It’s all about the sweet little details. 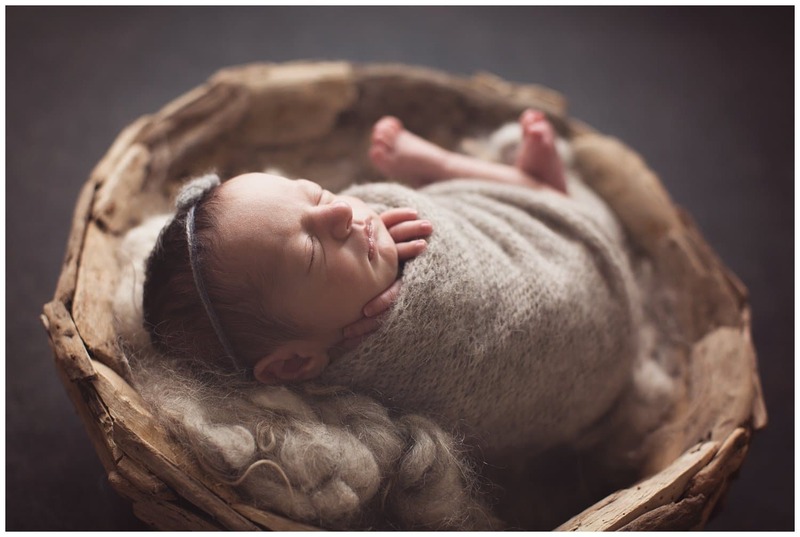 As a Modern newborn photographer, I know that when it comes to newborn photography, sometimes less is so much more. Are you expecting your own little bundle of joy? Congrats! 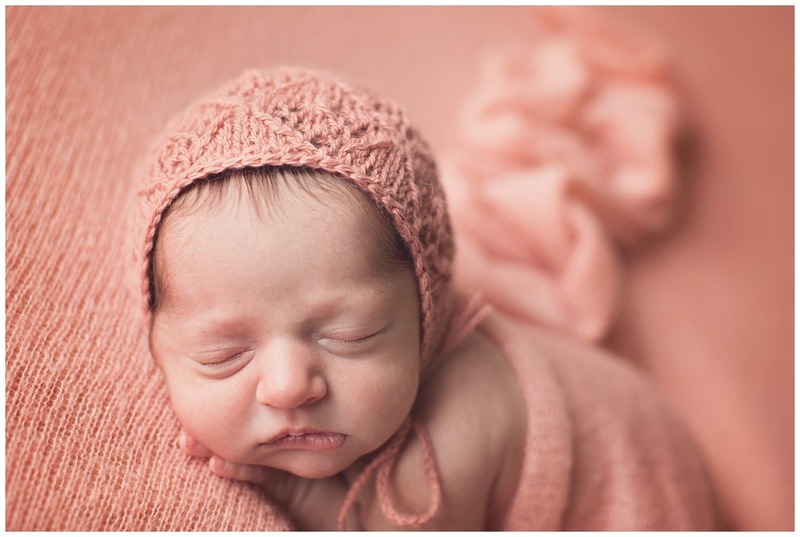 Make sure to check our more sweet little ones from Silver Bee Photography on our blog!